It's been happening for the last two days and multiple times a day, at very random times. I was in the shower once and the circuit tripped for the bathroom. Edited by HotSpot24, 19 April 2018 - 08:08 AM. I think they could be powerful enough to, I mean you know, if they can turn the tv on and off, why not a circuit breaker. My advice would be to call an electrician to come check it out, just in case you have bad wiring or something, just incase, because you don't want your house to catch fire. I think I've said this before but I STILL live in a VERY CATHOLIC household. So I basically won't know until my parents have some sense to get it checked out. Is it one single circuit breaker for everything? Typically bathroom breakers are separate so unless you have a one flip breaker for everything and that's going off it sounds like it's not a breaker. Also you do know you have to reset a breaker right I am not aware of any fuse systems that auto reset after a specific time or anything. Before calling an electrician I would get an electrical outlet checker they are generally $5 or less and is something everyone with a computer should have as well as paranormal investigators. These things just plug into 3 prong plugs and tell you if you have a problem based on LEDs that light up. The circuit breaker in my house are funky, the bathrooms outlets are on the same circuit as a electrical outlet outside (our lights are on a separate circuit), and when it rains cats and dogs, it gets in the box that covers the outlet outside, and sets the breaker off, and then we have to wait till it stops raining before we turn it back on, or it will just keep shutting off. The landlord doesn't care, and we are not going to pay to replace a cover on a place we do not own. Also, Hotspot can't do any of those things you suggested, he lives with his parents, so I assume that he is still in school. Very religious parents who don't believe in spirits, and think it's the devil, will give the poor kid hell for doing things they deem weird and devil like behavior. You need to have your electrical system checked. 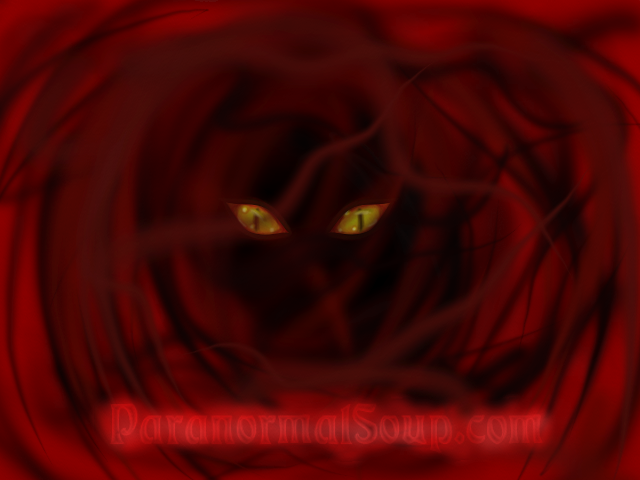 Curious, why do you think spirits may be involved? I think it is a logical thing to check your electrical appliances to see if any are faulty and definitely nothing that would suggest to your parents you think something is paranormal. Usually we unplug the appliances and plug them back in one at a time to see what is causing the trip. But back to your question, I think a spirit could trip a circuit. would love to hear some more info, especially if you've checked out all the circuits etc and there's no issues there! All I suggested was getting a socket checker and feeling if the fuse box is warm The smart meter info is online and sometimes comes with your electric bill. I couldn't imagine how much harder that would be. Because of the house being new, and my dad thought he had it fixed yesterday. It went out again this morning. Edited by HotSpot24, 20 April 2018 - 06:04 AM. Are you familiar with the area in which your house is built? I wonder since it went out again after your father thought he'd fixed it if he'll call someone in to double check it. I will re read your post but just in case - has this been going on long? Yeah, my parents are agreeing that it's weird, so the electrician is coming next week. I'll have another more complete update then. Good to hear . Look forward to the update. Yeah, my Sister doesn't believe, but my Mother and I do. Weird things have happened to Mom and I, but apparently not to my Sister. You're lucky to only be called a Devil worshiper, I've been called, "The Spawn of Satan" on more than one occasion. Edited by MacCionoadha BeanSidhe, 24 April 2018 - 07:46 PM. good idea with the electrician, I look forward to your update! The electrician switched the circuits from the spare bedroom to my bedroom. Still happens now to the spare room. I do believe that it is the breaker (as it's the same circuit). So, false alarm this time. Sorry for wasting all of your time. Although my laser barrier (that I had mentioned a long time ago) still goes off for nothing sometimes. (It's there to prevent the cat from going upstairs) I should note that this happens when I'm 99% sure I stepped over it, or when I'm playing video games. I can try uploading a couple of pictures of the area in my house where this is in a separate post.